This hotel group seems to have a number of new hotels across India, they may be better but this group apparently has fixed price of a star hotel for this lodge based on group value. This I was told the first ever lodge this group had. I trust agoda for evolution and appropriate pricing. A passenger who trusts systems like agoda expects things must be as anticipated not like this. It is not that I don’t like staying in a lodge, but I should be paying accordingly. One more noteworthy thing is that the phone number in Agoda’s website is not a working number. Too small. Clean but not value for money. I checked in at 11:30pm and was first given a room that was like business hotel at Osaka station! Far smaller than 18 or 20 Sq. M. advertised. Upon complaining they changed the room. I woke up at 5:30am with machine noise and could not sleep. Later I found out that I was gien a room next to laundry room And also adjacent to an AC plant of building next door. For Rs. 5,000 Paid there was no value. Night before I stayed in Lemon Tree Ahmedabad and it was a totally different (positive) experience. Disappointed with location,room and mini bar not working. I request book hotel taxi for Airport Drop and they hire a small local taxi where there is no place to keep the luggages charges are more. 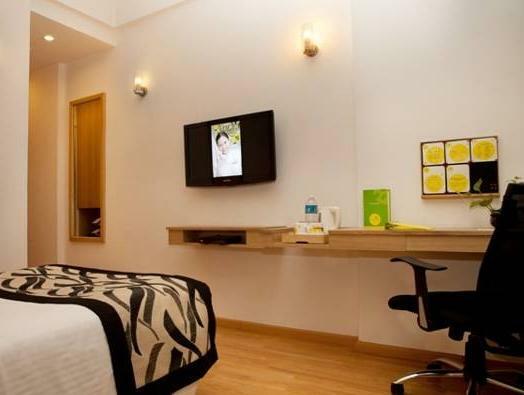 For a quick transit of Delhi, lemon tree hotel is perfect as it is easy to reach the airport. Its onsite restaurant offers good food, breakfast buffet, and 24 hour room service. Staff are kind and speak good English. Very satisfied, I thought the value for money was very good. 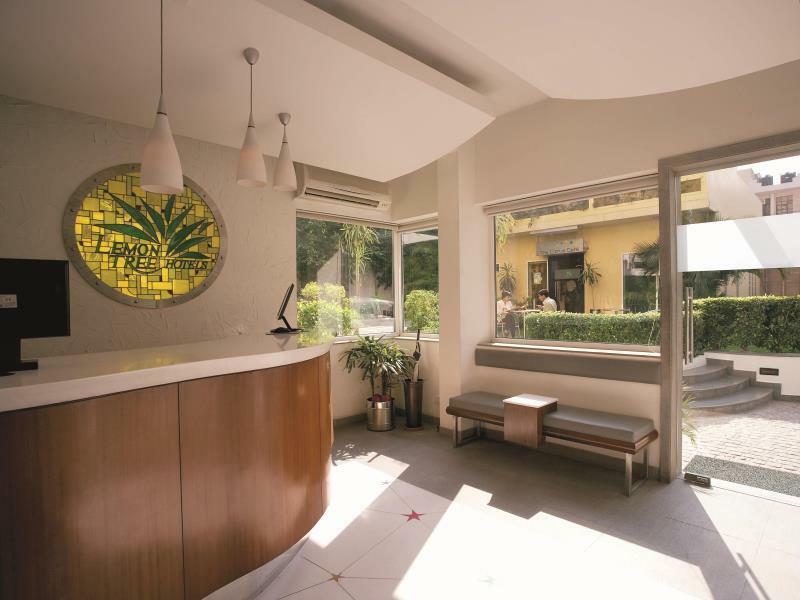 The environment is excellent as it is on a good, clean street, away from the noise, the hotel has created a green peaceful space for relaxation, and the interiors have very good finish. The speed of service was really good, and in my case, I suggeered food poisoning from eating in another hotel nearby, the staff put me through to a doctor at 5AM, and delivered water and medicine to my room within minutes. I was allowed to check out very late as the occupancy allowed it, and recuperate before my flight. The airport pickup car was clean, and the journey straightforward there and back. I asked for a suit to be ironied and received it back in the promised ten minutes, all calls to reception asking for service were answered and acted upon in prompt fashion at all times day or night. There were a few brief power cuts, and I didn't realise my rooom had an air heater, otherwise the stay was fairly flawless, and excellent value for the location. I have stayed here several times, and each time I really enjoy it. The concept is for people who want a mid-range, clean hotel with all amenities. The on-site restaurant is really good, the food tasty and the staff attentive. There is fast internet, and a ladies only floor. Good English is spoken, and the front desk staff are always cheerful and helpful. The theme is lemon yellow, and this gives a bright clean vibration. When passing through Delhi, it is very convenient to the airport. WARMLY RECOMMENDED! The Stay was good and confirtable the rooms were clean the only thing bathrooms verysmall and not clear . It was overall good. Room was small but clean. Free internet was a plus for a business traveller like me. Staff was very helpful especially in arranging for a taxi. Not much to see around the hotel though. The room was very old and moldy, the aircon smelled awfully and the bathroom was tiny and dirty. Furthermore, despite airport transfer being included according to Agoda they charge extra. This place definitely isn't recommended as a good business base. 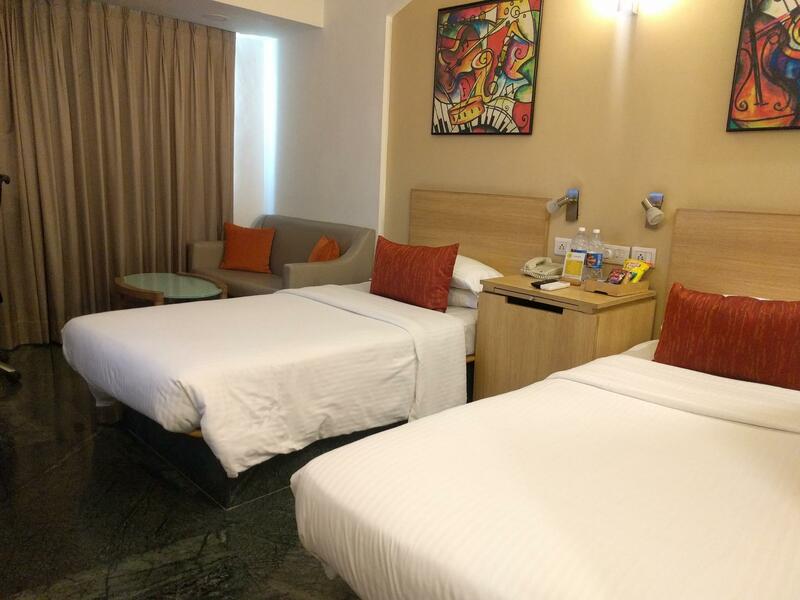 Staying in Lemon Tree Udyog Vihar is advantage for business people having work at Gurgoan. Staff is friendly and helpful. Hotel service is good except Laundry service. Hotel is clean and staff are welcoming. Easy accessible and space room. Restaurant has wonderful range of menu to sustain all the guest. I was particularly impressed by the staff at the front desk in organizing drivers and checking day trip and travel related things. The staff offered genuine help in other areas such as the business center and even the housemaids were helpful and friendly. I enjoyed the comical posters in the dining room which spread throughout the hotel. This was always a fun way to start the day and was enjoyed by the other guests also. The bright decor of the hotel was also refreshing and the pleasant garden offered a place to relax in the heat. I thought the hotel was located in a good position for the nearby conference, which was only a fifteen minute walk away. สถานีรถไฟใต้ดิน IndusInd Bank Cyber City Rapid - ระยะ 0.74 กม.